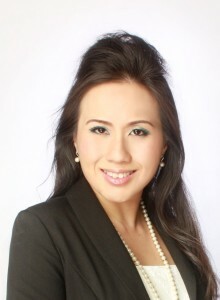 Pearly Leong is a Professionally Certified Teacher in British Columbia, Canada, and also the Founder & CEO of Accelr ™ Learning Systems. Combining her 20 years of educational coaching success, her training in Singapore Mathematics (World’s Highest Standards) and her Teacher’s Education Training at the University of British Columbia, she created “Simplicity Counts!™, an innovative Mathematics System to help individuals overcome their anxiety, develop inner confidence, and build Mathematical core foundation. Besides Mathematics, she is also passionate about developing instructional writing systems to facilitate individuals learning English. Geared towards English as Second Language learners, this efficient system enables individuals to write and communicate confidently and effectively within a short period of time. One of the things she enjoys most is bringing out the best in people. She believes when people unlock their inner potential, great things can happen. Her goal is to empower individuals in discovering their gifts, so collectively, we can work harmoniously at our best selves, contributing towards our greater community, world and future. As an educator, survivor of abusive relationships and a protector of children, the topic on bullying, abuse and child brides lies very close to her heart. She is also a creator, a visionary and a future philanthropist. She aspires to become an International Advocate for children and women across the world, and to meet Queen Noor of Jordan one day.